The Predator series already dates back from 1987, where Arnold Schwarzenegger made the series iconic thanks to a few of his one-liners. Nonetheless, the first two movies were a hit, and they were released somewhat close after one another. Later we saw spin-off movies, but never truly the same adventure where the creatures visited our planet, simply for the sport of hunting human beings. In Predators we were teleported to another planet, and in Alien vs Predator we were treated to a mix of the Predator franchise and the Alien universe. Now, we are seemingly getting a new Predator movie, but the storyline once again strays away from the original, which already becomes clear at the beginning of the movie. In this new iteration of the Predator series, the movie starts off with a space battle between two spaceships, which is odd, as we only know the ‘Predator’ race so far, and the aliens, with the latter not really having spaceships of their own. This means it must be a dispute between two Predators Nonetheless, one ship crashes in Mexico, where sniper Quinn McKenna (Boyd Holbrook) is currently handling his affairs for a mission. With the crash, his team gets wiped out, but he comes across some odd alien technology, which he takes with him. As he’s certain the military will want to cover things up, he mails a few pieces to himself, which accidently arrive at his home, where his wife and child live, instead of at his private mailbox. 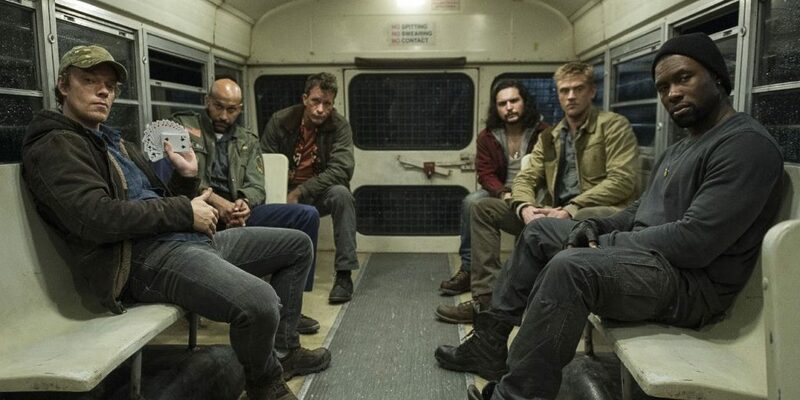 As expected, Quinn is sent to be ‘dealt’ with, by putting him on a bus with other soldiers who are deemed to be crazy. When Dr. Casey Brackett (Olivia Munn) is fetched by the government for her insights in genetic data, she also requires to talk with Quinn, before they take him out for good. Quinn, and the rest of the loony toons, are then driven towards the military facility where the invading Predator is held. Of course, all hell breaks loose when the creature kills nearly everyone in sight, and breaks free. Quinn, Brackett and the soldiers on the bus manage to escape, but they’ll have to take down the alien, while being on the run. The flow of the movie is actually quite odd, as it has a really action-packed beginning, only to slow down after a third of the movie, to become increasingly slower until the grand finale. It feels as if the pacing is totally wrong for an action movie such as this, making it a lot more dull than it could have been. Not only is the plot a bit silly with the notion of Predators hunting each other, with one clearly coming to our planet for a specific reason (you can already guess it after a short while). The writing feels laughable compared to the original movies, which didn’t have much story to begin with. For some reason, there is a lot of slapstick humor inserted in this movie, which sometimes hits its mark, but somehow feels weird in a movie like this. Overall, there were a lot of mixed feelings when watching the entire film. Boyd Holbrook is a man who has some relevant acting experience under his belt, but even so is fairly unknown. It’s actually quite fun to have a ‘fresh’ lead in a movie such as this, and he plays out his role fabulously. Then, for some reason, the writers decided to give him a team of washed up (and crazy) soldiers to accompany him on his hunt to kill the alien invader. While the overall concept was great and had a certain comedic relief, seeing actors like Keegan-Michael Key play a semi-serious role feels totally wrong, especially in a movie like this. Don’t get us wrong, Key is a great actor, but not for a movie such as this. Overall, the cast did an okay-ish job, but some were miscast, and if you have to work with crappy writing, there’s only so much a decent cast can do to save the entire picture. There’s around an hour of extra content available on the DVD edition of The Predator, which is always nice when it’s relevant content. 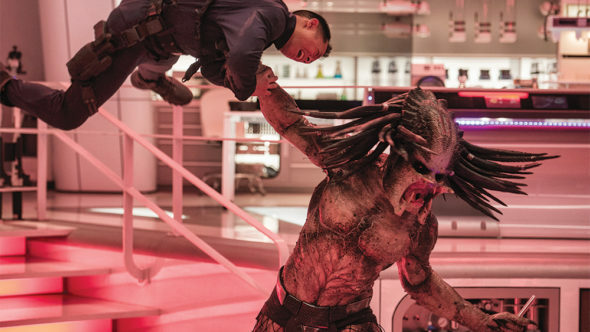 You’ll see how the predator evolved in terms of practical and special effects, you’ll get a snippet about the series as a whole, about the strange military team that banded together in the movie, snippets about the past movies and a gallery. Overall, the content is quite pleasant and you’ll learn a lot more about the series and how the movies came to fruition. 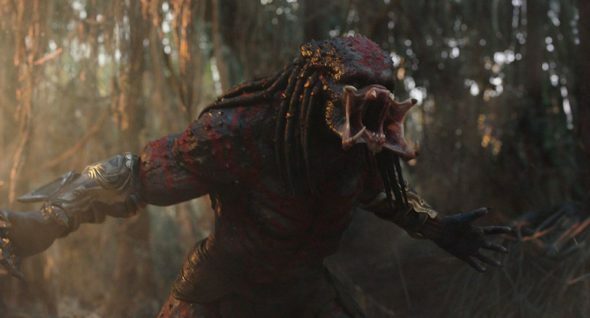 The Predator has some good qualities that the original movies has, but it feels somewhat useless to come out with another movie, especially with the somewhat bizarre plot in place, which we couldn’t completely spoil. The cast was both interesting and bizarre, as some cast members are frequent members of more lighthearted movies than a movie such as this. Nonetheless, if you enjoyed the originals and you were looking for something to continue the series, then this movie might provide a fun night for you.